Attendance is FREE for UWHEN member institutions. Register online at http://2017wgu.eventbrite.com. Join leaders for an interactive and insightful afternoon of learnings, lessons, and actionable activities that will support your goals for success. Lauren Carris is a higher education and learning leader with over 15 years of curriculum and program design experience in diverse institutional settings. She seeks to inspire her teams and institutions to solve complex challenges in design and delivery. 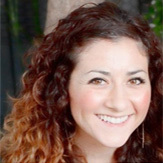 Lauren entered higher education through language learning program development in Teaching English to Speakers of Other Languages (TESOL) at UCLA, where her career advanced to focus on faculty and staff development, high stakes performance assessment leadership, cross-institutional curriculum alignment, and higher education leadership in public, private, for-profit, and non-profit institutions. Today, she applies her leadership and drive for innovation to the increasing demand for affordable, attainable, personalized, quality higher education at Western Governors University. There, Lauren leads teams within Academic Programs to support the advancement of WGU’s competency-based learning experience at scale. She relies on the latest research in learning science and user experience and design to facilitate collaboration among thought leaders, policy makers, industry experts, institutional leadership, and learning design professionals to reimagine the definition of exceptional learning experiences. Melissa Flores (Facilitator) serves as the VP State Operations and Partnerships for Western Governors University (WGU). Flores develops strategic initiatives with WGU State Chancellors, elected officials, business and community leaders to expand access to post-secondary educational opportunities by providing a means for individuals to learn, independent of time or place, and to earn competency-based degrees that are credible to both academic institutions and employers. As part of an extensive career in higher education, Flores has served in a variety of roles. She had responsibility for 29 schools, 15,000 students and 1,800 employees as a Division President for Corinthian Colleges, Inc. Prior, she established School Analytix, and consulted with post-secondary, for-profit, higher education institutions. Flores was also the Chief Operating Officer for a start-up university, establishing all activities associated with campus operations and accreditation. Flores was an 11-year veteran of Apollo Group/University of Phoenix moving through positions of increasing responsibility at a state, national and international level. As the Vice President of International Operations, she was instrumental in starting international campus activities and gaining regional accreditation through the Higher Learning Commission. As Vice President of Business Development and Integration, she implemented a national online distribution system for curriculum and initiated the pilot for a blended delivery model combining online and campus-based learning. Melissa is passionate about expanding opportunities and experiences for others. Within non-profit organizations, she served as Director of Vocational Services for a health-care organization. She currently serves as a committee member for the National Ability Center which is committed to helping people of all abilities develop lifetime skills through both affordable & adaptive sports and recreation. Melissa received her undergraduate degree from California Polytechnic University, San Luis Obispo and her masters from University of Phoenix. Melissa was born and raised in Southern California but has called Park City, Utah, home for 14 years. She is married and has a 15 year-old daughter. 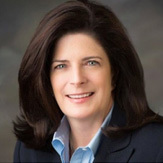 Stacey Ludwig Johnson has spent 26 years serving individuals and families in capacities relating to before and after school and alternative programs for high-risk youth, Department of Corrections programs for juvenile offenders, distance learning certification programs for adults, and most notably, almost 20 years as a pioneer in competency-based education leading and inspiring teams at WGU. Dr. Johnson was drawn to WGU because of WGU’s mission and she has enjoyed the opportunity to innovate and deliver student support services that improve the quality and expand access to higher education for a primarily non-traditional, under-served population of adult learners. She is most excited about her new role as the VP of Academic Operations because it provides the opportunity to collaborate with talented colleagues as they lead the largest Teachers College in the nation. Lisa Raisor has over 15 years’ experience in the private higher education arena. She currently serves as the Director of Curriculum and Interim VP of Academic Programs for Western Governors University, College of Information Technology. In these roles, she provides leadership and vision to the ongoing design, development, delivery and evaluation of the IT programs, utilizing student performance data as well as feedback from students, faculty and employers to inform continuous improvement efforts of the IT programs and student experience. In addition, she collaborates with industry experts to ensure programs meet industry need, and works with university stakeholders to ensure processes and procedures surrounding curriculum design, development and delivery effective. 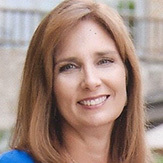 Prior to joining WGU, Lisa served as the Director of Product Development for ECPI University, where she was responsible for the curriculum design, development and deployment of all university programs for online, hybrid and residential delivery, as well as faculty/staff training initiatives. Lisa holds a Bachelor’s degree in Computer Science and Mathematics from Western Michigan University, and a MS in Education, Instructional Design for Online Learning from Capella University. She is also a United States Distance Learning Association member. 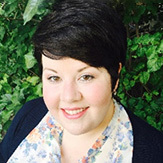 Kacey Thorne is the Director of Assessment Design and Development at Western Governors University. As the Assessment Director, Kacey leads cross functional teams in the design, development, and evaluation of all assessments delivered at WGU. She is passionate about the design and development of authentic and reliable assessments for WGU students. Kacey began her career in education 14 years ago as a Health Science classroom teacher in both traditional and online settings for secondary and post-secondary students. Her passion for students and a desire to expand access to higher education brought her to WGU 5 years ago. Kacey holds a MEd in Instructional Design from Western Governors University. 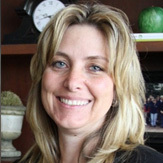 Tracey Wheeler is the Director of Curriculum for Teachers College at Western Governors University. She received her doctorate at Utah State University in Curriculum Design and Instruction with emphasis in Instructional Leadership and has a BA degree in Chemistry from California State University, Long Beach. She has over 16 years of experience in higher education leadership in areas related to accreditation, state licensing, programmatic development, curriculum and assessment at department and institutional levels. Wheeler’s current role as Director of Curriculum includes building collaborative teams, ownership, mentoring future leaders and making strategic decisions related to competency-based education, program development processes, use of innovative technologies, program priorities, and working with external agencies to meet state and accreditation requirements. 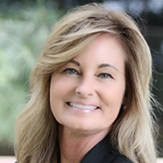 Tracey’s additional experiences include; Site Visitor for CAEP, Director of Secondary Education, Director of Accreditation and Assessment for the Education Department, Institutional Accreditation Assessment Coordinator, instructional designer consultant for Mager Consortium, grant awards, scholarly productivity, and member of external advisory committees (e.g., NSF State of Nevada Epscor grant, STEM education, online/ blending digital environments, etc.). She was a professor for over 13 years, received full rank advancement, designed/ taught courses in Teacher Education through different delivery formats (e.g., face-to-face, blended, online), received grant awards, served on institutional committees and has presented at international and national conferences on research-based innovative technologies, online curriculum design and learning theories. Tracey has a passion for her profession in the field of education and believes her most important contribution is creating future leaders and teachers and are caring, effective and be positive role models for future generations.